How to draw and generate barcodes on PDF document? Do you need a .NET PDF barcode generator library for your Visual Studio application development? If so, please have a try with CnetSDK .NET PDF Barcode Generator SDK. This .NET PDF barcode generator library helps to achieve accurate and high print quality linear and 2d barcodes generation and drawing on Adobe PDF document. It is an independent .NET library for PDF barcodes generation, and there is no need for other PDF libraries or components. CnetSDK .NET PDF Barcode Generator library can integrate high-quality PDF barcodes generation features into your .NET windows and web projects. You may directly add Visual Studio project reference to our .NET PDF barcode generator library dll. And then, all mature .NET APIs and methods can be used for your application development. By using CnetSDK .NET PDF barcode generator library, you can easily make and generate 1D/linear barcodes and draw them on PDF file page. Among all linear bar codes, Code 128, Code 39, EAN-13, and UPC-E are the most popular 1D bar code types. And our PDF barcode generator library supports drawing these barcode types on PDF document. Besides 1D/linear barcodes generation on PDF, our .NET barcode generator library can also draw and generate matrix/2D barcodes on PDF document, like generating QR Code, Aztec Code, PDF-417, and Data Matrix barcodes on PDF file page. All the barcodes generated on PDF are compatible with the latest barcode symbology specifications. .NET PDF barcode generator enables C# and VB.NET developers to set common and specific barcodes properties, such as barcode data, barcode image size, QR Code error collection lever, Data Matrix shape, etc. Moreover, checksum digit for linear bar codes is calculated and added to barcode automatically. Guess you may need to place created barcodes on PDF at different places. 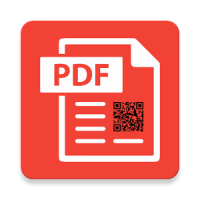 CnetSDK .NET PDF Barcode Generator SDK provides the method to customize the location of barcode image on PDF document page. You can directly set BarcodeLocation to specify where the barcode will be generated and drawn. CnetSDK .NET PDF Barcode Generator SDK works independently, with no need for other .NET assemblies and PDF libraries or components. This .NET PDF library is compatible with x86 and x64 systems, any CPU, and .NET Framework 4.0 & above. It is widely used in .NET, C#, and VB.NET web and windows applications development. CnetSDK PDF barcode generator library for .NET is compatible with .NET, C#, and VB.NET windows and web applications. It's easy to use our .NET PDF barcode generator library in your Visual Studio application development. Please firstly download free .NET PDF Barcode Generator SDK trial online. And then, click the following C# and VB.NET tutorials link to see more details. You will know how to use mature APIs and methods to quickly draw, create, and generate high quality linear and 2d barcodes on PDF document. We also provide a demo project in the free trial package. Please Note: a watermark ("CnetSDK") will randomly be created and drawn on barcode image if you are using the free trial. To remove this watermark, please make an order for CnetSDK .NET PDF Barcode Generator SDK license. Three license types are provided for you to choose from, namely One Server License ($699), Group Server license ($1,299), Unlimited Server License ($2,399). Each of which permits the unlimited developer to use (copies of) CnetSDK .NET PDF Barcode Generator SDK to develop the unlimited number of derived works that can be deployed to 1, 2 to 8, or unlimited server(s) respectively. Please note, if your derived work is a single-user client application, the Group Servers License is required. And it grants you to use CnetSDK Software to develop and install unlimited (copies of) single-user client application to unlimited client desktop PC's. You may see more licensing details or make an order now.